This Apple Raisin Bread is a dense, hearty, and moist loaf, jam-packed with apples, raisins, and no shortage of cinnamon and spices! 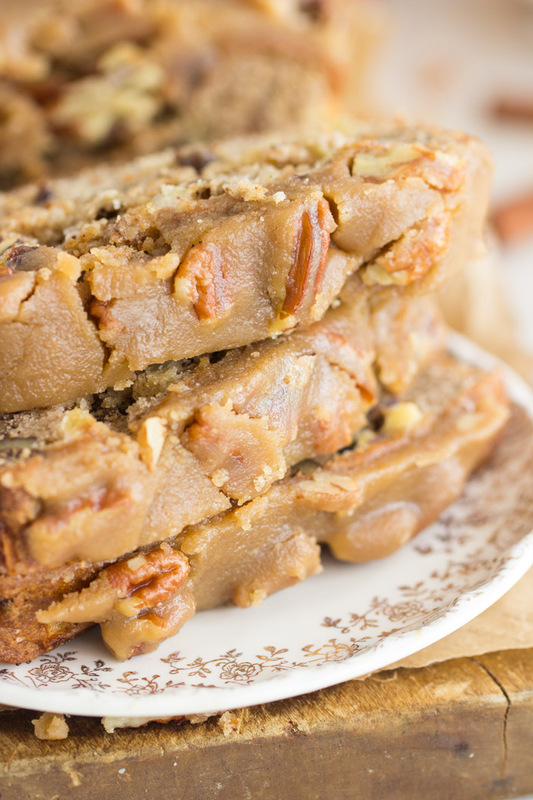 The pecan praline topping is what you never knew your fave quick bread was missing – it’s sweet, crumbly, and crunchy, with lots of brown sugar, butter, and pecans! Hello friends! And ‘happy’ Monday! As happy as a Monday can be. 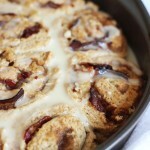 As I was writing this post, I was soooo sad not to have this Apple Raisin Bread around. As I was thinking about this bread, and trying to describe it for you, I got depressed that I didn’t have any more of it. I’ve got to make this Apple Raisin Bread again during fall. We ate half of it a few weeks ago, and then froze half to have for later. We lost so many desserts and treats when our power was out for Irma though, and this was one of (many) things that we had to throw out! I do not want to complain because our circumstances could’ve been so much worse after Irma, but I really was sad to toss the contents of our fridge and freezer. We had to though.. we lost power for almost 6 days, and nothing could be spared. I definitely mourned all the leftover desserts and baked goods as we discarded them! 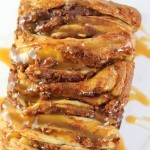 This Apple Raisin Bread would’ve totally hit the spot today, and I wish I had that other half back!! The last few days are the first that have felt remotely like fall around here. Our fall has not been cool and crisp yet – on the contrary, we’ve been breaking record highs, and it’s been uncharacteristically humid. Where is fall?? 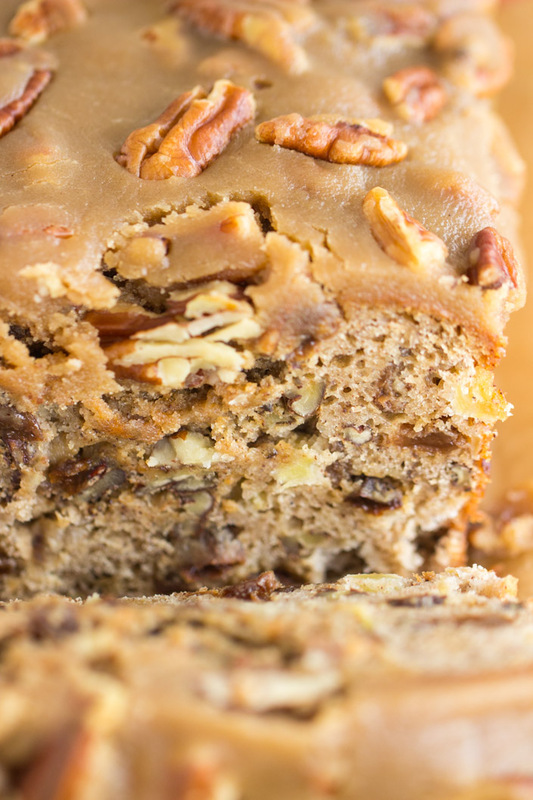 If you don’t have fall weather yet, you can fake it with something like this Apple Raisin Bread. It’s EVERYTHING you love about fall, and it definitely gets you in the spirit, even if the weather isn’t cooperating. It’s quite a remarkable bread, and easier than it probably looks! This Apple Raisin Bread is a dense, hearty, and moist loaf, jam-packed with apples, raisins, and no shortage of cinnamon and spices. 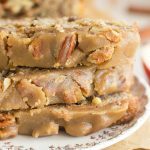 The pecan praline topping is a worthwhile extra step. 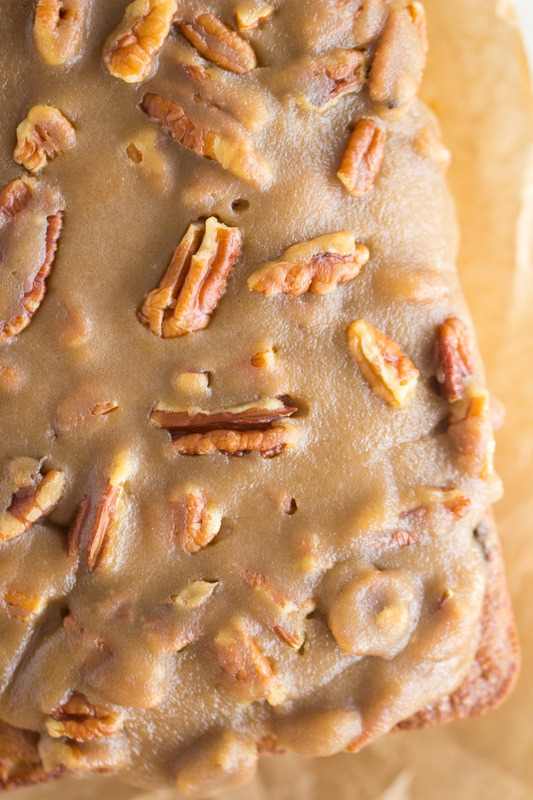 The bread is lovely on its own, warm from the oven or toasted with a pat of butter, but the pecan praline topping definitely makes it next-level. 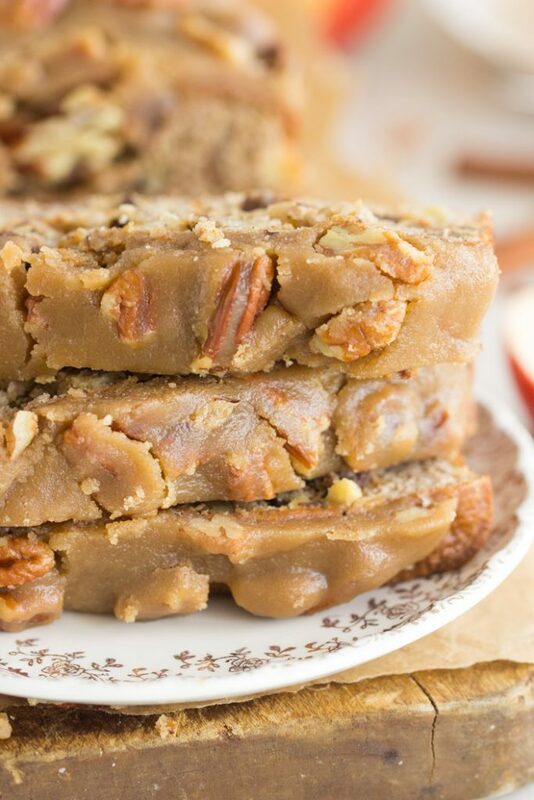 It’s literally just like you’re making pralines from scratch (they’re so easy! 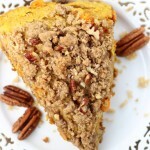 ), but you pour it over the bread instead, and it sets into a sweet, crumbly, crunchy topping of brown sugar, butter, and pecans. I bet that’s what you never knew your favorite quick bread was missing! 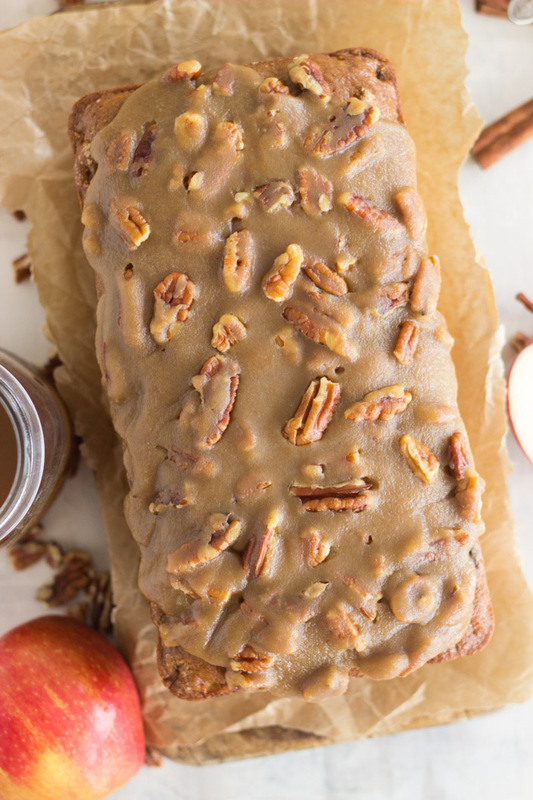 This Apple Raisin Bread doesn’t need anything, but that pecan praline topping certainly sets it apart and gives it that extra jolt of fall goodness. This Apple Raisin Bread is a dense, hearty, and moist loaf, jam-packed with apples, raisins, and no shortage of cinnamon and spices! 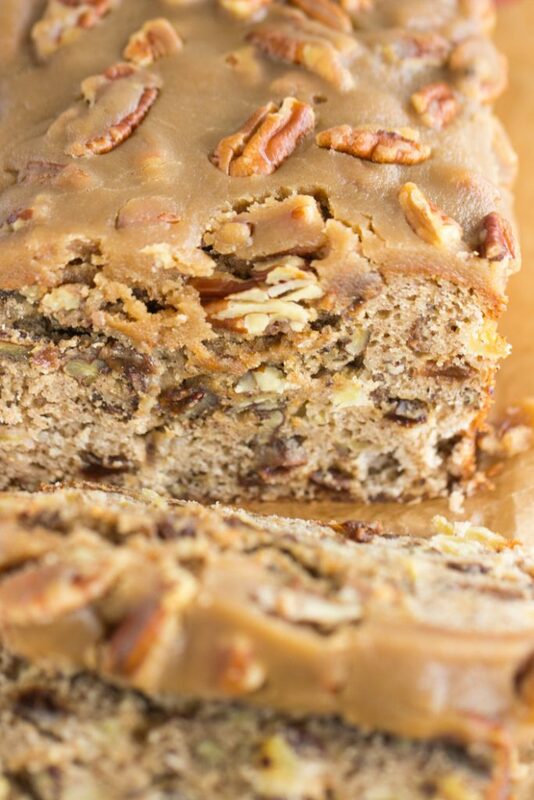 The pecan praline topping is what you never knew your fave quick bread was missing - it's sweet, crumbly, and crunchy, with lots of brown sugar, butter, and pecans! In a large bowl, whisk together flour, baking powder, baking soda, cinnamon, apple pie spice, ginger, and salt. In a medium bowl, whisk together sugar, sour cream, eggs, and vanilla. Fold in apples, pecans, and raisins. 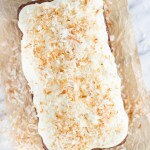 Spread batter into a greased 9x5-inch loaf pan. In a small saucepan over medium heat, combine butter and brown sugar. Watching closely, bring mixture to a simmer, stirring constantly. Simmer for two minutes, making sure sugar is dissolved, then remove from heat. Stir in cinnamon and pecans. Spoon over cooled bread, and allow to set, about 10 minutes. 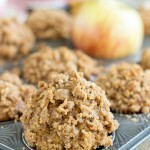 For other fall apple favorites, check out this Fireball Apple Pie, Fireball Apple Crisp, Caramel Apple Crisp Cheesecake, Pumpkin Apple Streusel Muffins, or Apple Pie Cupcakes. This I have got to try. I just made your White Chocolate Pumpkin Cheesecake & the Caramel Apple Crisp Cheesecake is cooling in the window as we speak. They are for a benefit banquet we are running tomorrow. They look fantastic. I will let you know how it goes. Banquet Update. Desert was called a Desert Dash. Each table of 8 pooled their donations together & the highest bidders dashed for their selection first. the highest I think $460 choose the Caramel apple crisp Cheesecake out of many choices and the White chocolate Pumpkin Cheesecake was gone soon after that. Fun Event. I rarely get to taste the cheesecakes I make. I am always giving them away. I did have extra of the white choco pumpkin batter left so threw together a little pie for myself and it was the best pumpkin I have made. Thanks to you. This Raisin Apple bread is going to be mine this weekend. Oh ho boy.